A full lunar eclipse of a "supermoon" will be visible tonight in the Western Hemisphere, including all of North & South America. 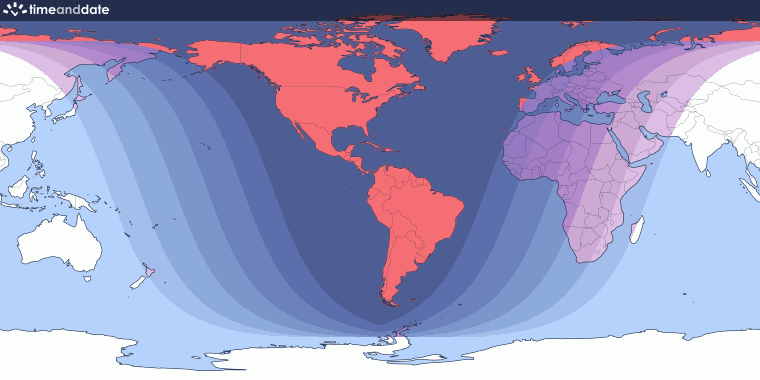 "...parts of Europe and Africa will see part of or the entire eclipse in their predawn skies." Orange color and 2/3 hidden by Earth's shadow. And very huge compared to its usual size at this time. Edited January 21 by .KeLFOuTO!r. Saw it clear @ work. Was nice, took pics, but not good quality. When I got back home from work, the sunset was also amazing, sky was so bright red/purple/blue colours. TONIGHT, I have a bright moon in cloudless sky! I kept checking back on the second Live-Feed site that I posted. If you run that Video now, then you can watch all 6 hours and 51 minutes of their feed. I saw an explanation of why Lunar Eclipses are so slow when compare to Solar Eclipses. I had never even thought of that!